We will also be joined by some of the inspiring young people involved in the growing school strikes climate movement, for a broader discussion about the way youth activism is shaking up the politics of climate action. Lorna Gold, more recently known for her work mobilising parents and teachers to support young people joining the global #SchoolStrike4Climate, is also a long-time friend and supporter of Friends of the Earth. She was with us all the way back in 2007, when in her role as a campaigner with Trócaire we were co-founders of the Stop Climate Chaos coalition. 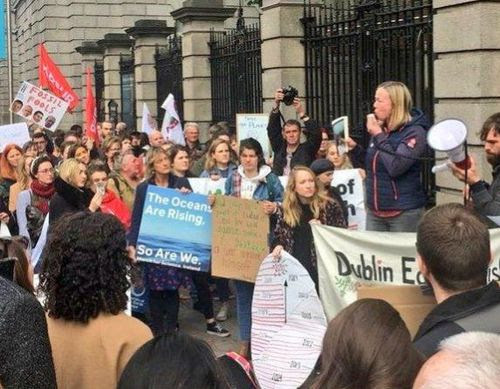 Come along on March 28th* to delve deeper into this awakening of parents and young people, and explore the ways we can support youth activism in Ireland to demand real change.